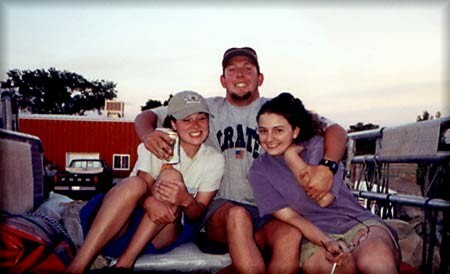 Ashley, Chris, and Sybrena packing the river truck for Desolation Canyon. 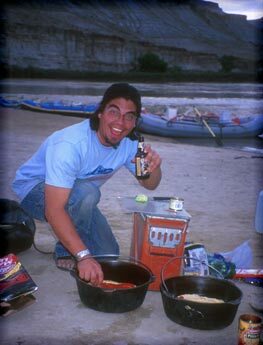 Kimo cooking dinner for the crew at Sand Wash, Desolation Canyon. 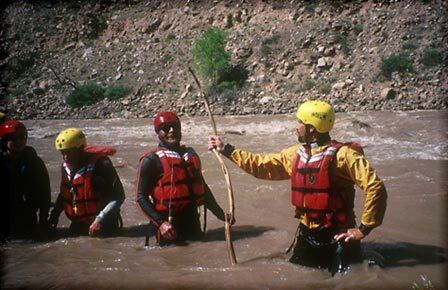 Swiftwater rescue class on the Green River. 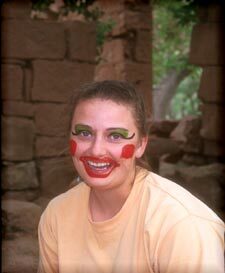 Sybrena during an afternoon of watercolor painting at Rock Creek, Desolation Canyon. 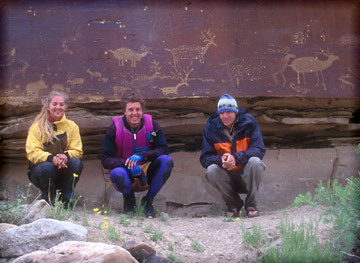 Mindy, Lat, and Adam at a petroglyph panel in Desolation Canyon. ©2000 Mary Allen. All Rights Reserved. All photos copyrighted.